This linear route connects Praia Formosa (south coast) to Baía of São Lourenço (northeast coast), making the connection between the two white sand beaches (limestone sand), unique in the Azores. Along this trail, you will cross-classified areas such as the Natural Monument of Pedreira do Campo, Figueiral and Prainha, the protected area for management of species or habitats of Pico Alto and the protected landscape area of Baía of São Lourenço. The Great Route of Santa Maria takes in the whole island and over 78 circular km of lanscapes incluing areas of great geomorphological interest. 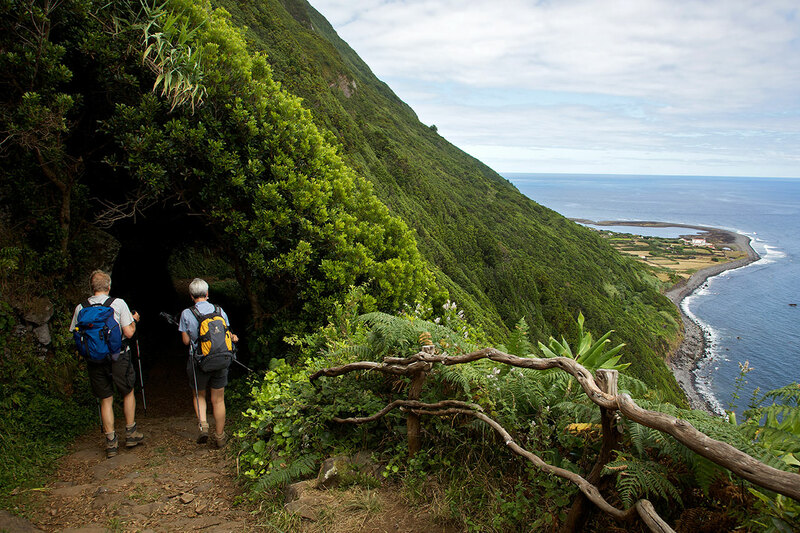 On the trail, you will see evidence of several types of erosion and sea water levels changing, which conveys the island’s particularities to places of incredible scenic beauty, as well as areas of educational and scientific interest. Discover beautiful fauna, and considering the location of the Azores in the Northeast Atlantic, several species of migrant birds which use the Azores as a resting place. This route connects Vila do Porto to Praia Formosa, village of Almagreira, place where takes place the oldest musical festival of the country, Maré de Agosto. 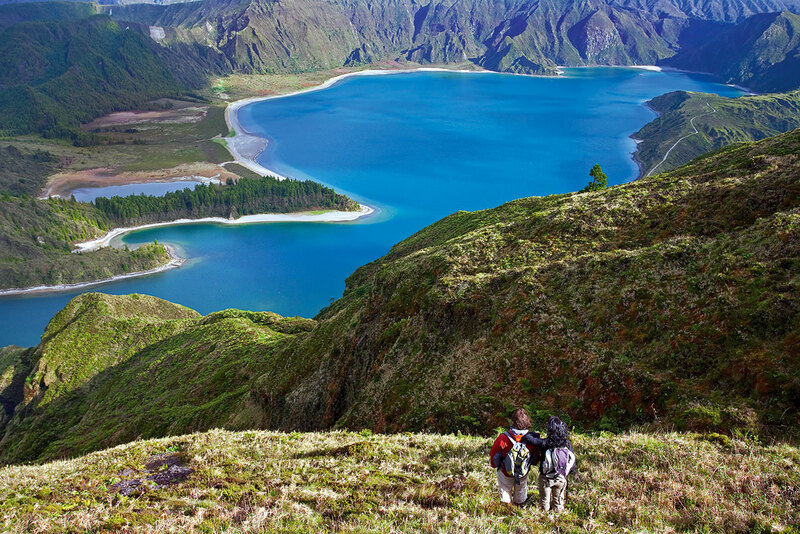 This small circular route covers a forest area inserted in a protected area, passing through several natural viewpoints from where it’s possible to see different landscapes of the island. Start the trail in the Pico Alto car park and climb a stairway near a military building to reach the highest point of the island, which boasts views over Santa Maria. 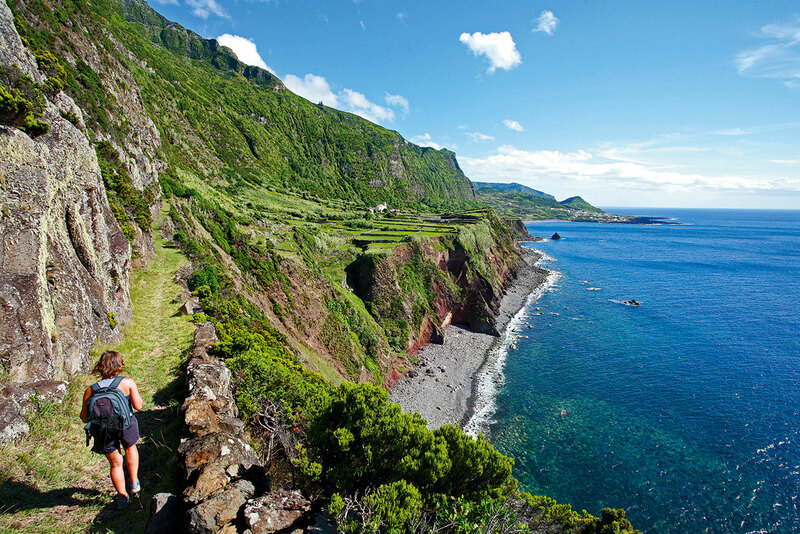 This small linear route of 9 km connects the village of Bananeiras to Anjos, in a small walk along the North Coast of the island. Leave Bananeiras towards Baía do Raposo. This trail, often used by people that go fishing to the bay, classified as Geosite, allows you to visit two watermills, the stream that feeds them and a mill belonging to the local vineyards, presently in ruins.